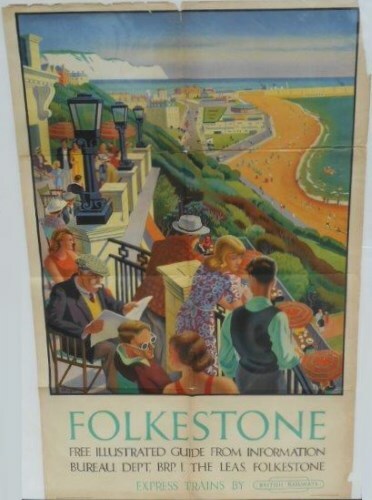 Lot 129 D/R Poster 1950s, BR(S) "Folkestone" by Allinson. A view along the beach from above the town. Folds and edge losses.